they drew a line from me to you. 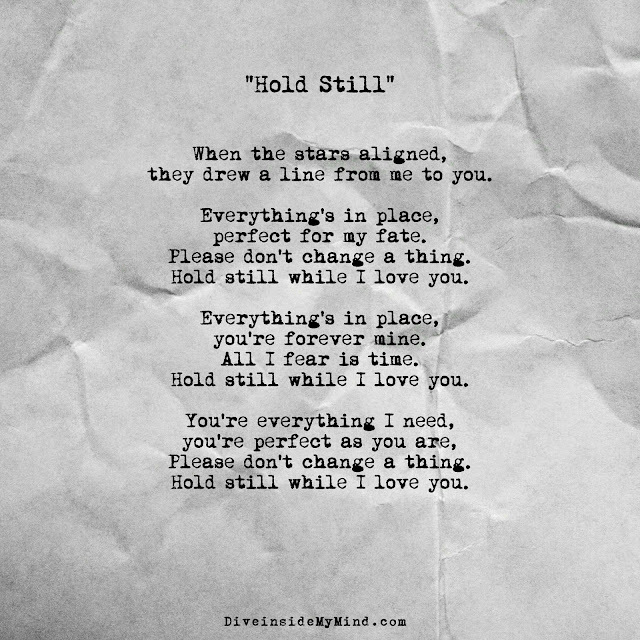 Hold still while I love you. All I fear is time.